Its was second official magento event in India. I missed the last years event so don’t wanted to miss this time and I booked my tickets within minutes when I get to know about the event. 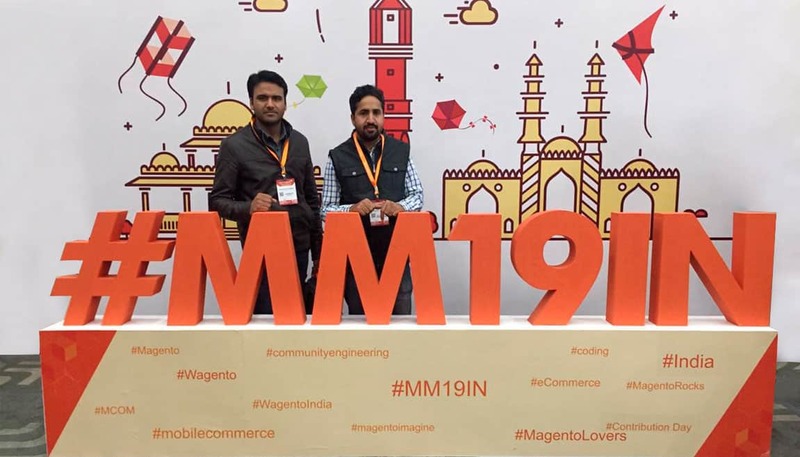 On Feb 2nd and 3rd 2019, more than 800 magento core team members, business leaders, service providers, merchants, technology partners and developers not just from India but from around the world gathered at Meet Magento India 2019 in Ahmedabad (MM19IN), the biggest Magento event in India. There are lots of aspects of a personalised and optimised user experience specially for an eCommerce website. But until your website is not loading faster you are not going to get results from most your other optimisation. 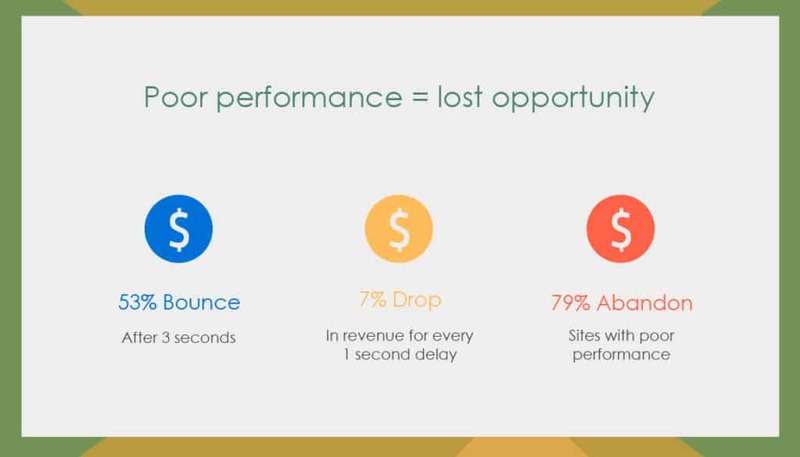 Results from a research led by Akamai shows that a two second delay in load time can lead to 100% bounce rate. When we look at magento 2 keeping all this in mind, we see a much improved platform in terms of performance. Once we have a website fully configured as per magnento 2 performance guidelines we can really experience the difference. Inbuilt full page cache, native support to varnish caching engine, improved platform architecture has made magento 2 a perfect platform for any enterprise level eCommerce store. Almost 62% of visitors in 2018 visited from mobile devices but only 22% of purchases were made from the mobile devices. This really a worrying statistics and requires much better attention. Progressive Web Apps ( PWA ) are web applications or websites which loads like a normal website but offers a much more faster, reliable and engaging user experience. While browsing mobile websites, we feel the lack of mobile user experience & performance which we are used to of in a native mobile application. 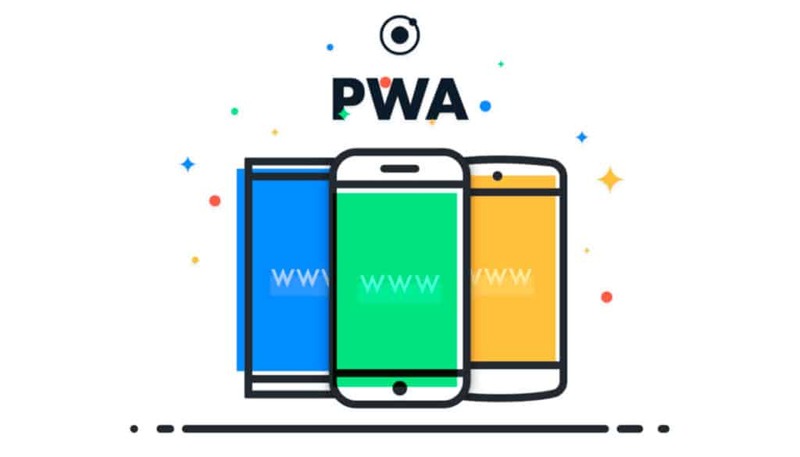 PWA combines the flexibility of a web application with the experience of a native mobile application. And in some way it goes beyond that by offering a superior performance over both web and native mobile apps. Ability to work in offline or in junkie network situation, native mobile push notification and access to device hardware makes PWA apps much more powerful. User can keep browsing your PWA application like your mobile website and they can also install it like a native app. Without even requiring any download from an app store with just a click of a button. Doesn’t that sound amazing ? Without going into much details on PWA in this post, I will put an end on this topic with an example of most simple implementation of PWA and its impact. Instead of showing a dragon in case of junkie network situation, the leading hotel search engine Trivago started showing a notice on their website saying “Internet is unavailable and we will try to reconnect in 15 seconds”. This simple implementation of PWA retained 67% of those visitors who experienced the problem and otherwise would have abandoned the website. Magento community is constantly working towards continuous improvements in the platform and guess what ? With launch of Magento 2.3 it has natively started supporting Progressive Web Apps. Launch of PWA studio has made the life easier for developers who are working on PWA apps. Magento 2.3 now also includes a PWA theme called Venia which developers can use as a base for their PWA apps. Talk from Tomasz Karwatka on PWA was really insightful. His open source product Vue Storefront is available to use with any eCommerce platform including magento 1, shopify & wooCommerce. Stay tuned guys, much more is awaited on this front. Magento has been a leading eCommerce platform around the world since a long time and the array of native feature it support with latest release of magento 2, its now without a doubt is the best platform for any level of ecommerce store. I have been developing and handling eCommerce projects since over a decade now and got ample chances of working with almost all other available platform like bigcommerce, shopify, opencart, wooCommerce & prestashop etc and I clearly see magento as a leader among these. Improved architecture, security features, performance improvement, native support for elastic & solr search, features like b2b eCommerce, product information management, PWA, Order and warehouse management, native page builder, upcoming out of the box integration with google adwords and analytics and almost everything a merchant can think of. What else you can desire as developer or store owner ? Since the acquisition of magento by adobe in May last year, there’s been ongoing work on integration of Adobe and Magento. As a result, magento is now part of adobe’s experience cloud and available as Magento Commerce Cloud. Customer getting to know about your product from a blog post, reading more about it on their phone, collecting further details about it on their computer and finally buying it in store is a common behaviour today. Being available on all possible channel is one thing but providing a connected, consistent and seamless user experience across all channel is the key to success. Omni channel is about being everywhere at all the time because that’s how shoppers are buying today, hopping from device to device and channel to channel. I am now a Magento Certified Solution Specialist. 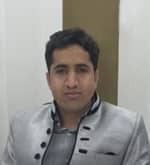 Been working with magento since 2009 and worked as both magento front-end & back-end developer. In recent years my role has been more of a solution specialist responsible for planning, proposing & designing solutions around magento platforms. 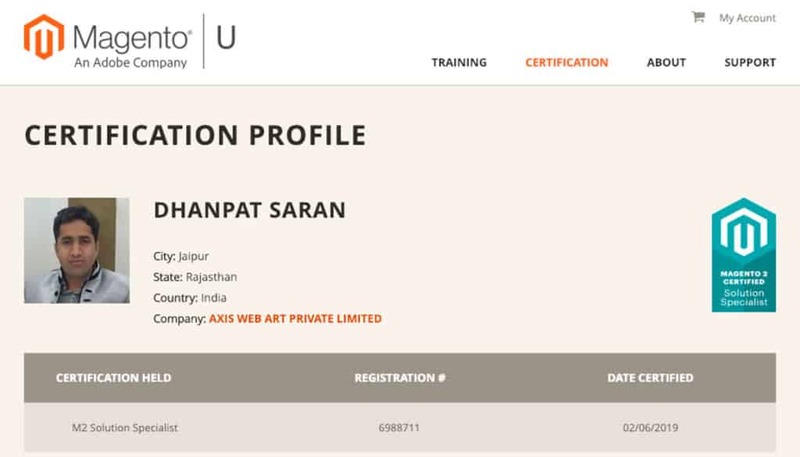 Knowing my experience and knowledge of the platform it was the easiest exam for me; however to get the certification and eventually have my name listed in the magento directory it was required to register for the exam. Exam vouchers were available along with magento meet tickets and a test center was prepared by magento as part of the event venue itself. I don’t wanted to miss this opportunity either. And finally I have a Magento Certified Solution Specialist badge attached with my profile. Organising an event like this requires lots of efforts and I congratulate the entire Wagento team & Vijay for making it a success for consecutive 2 times.